And finally is where we tie up the loose ends from the world of wearable tech. It's where the web rumor mill churns out its goodies, and where the smaller stories of the week, not covered in-depth on our dedicated news page, get an airing. 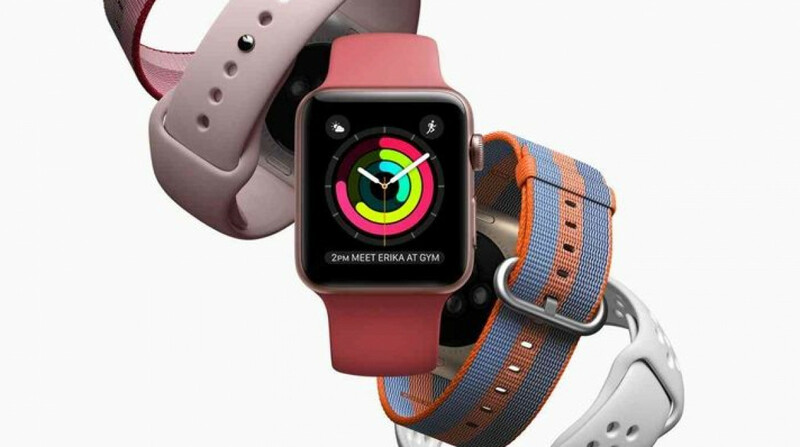 Last week we were treated to a leaked image of the purported next-gen Apple Watch, seemingly confirming earlier reports that the Series 4's display will have less bezel, meaning more space for a larger display. And now the leakers of the image above, 9to5Mac, have revealed "the probable screen resolution for the 42mm version... 384 x 480". Spec-fans will be aware that the current Apple Watch flagship has a 312 x 390 panel. The report suggests that the new Watch will also boast a higher PPI - meaning devs have more pixels to play with when designing their apps. Talking of Apple Watch apps - make sure you check out our top picks. Last year Nike unveiled a new range of connected jerseys ahead of the new NBA season, with its NikeConnect technology built-in courtesy of an embedded NFC sensor in the vests. And now it's the turn of soccerball to get in on the NFC smart clothing action, with Chelsea's new third kit packing the tech. Chelsea fans will be able to scan the NikeConnect logo on the label - via the Nike app, to access product, customized content and exclusive experiences. All sounds a bit corporate and soulless to us. Perfect for Chelsea then. Boom boom. Throw your long-johns and your vests in the bin - it's 2018 for Pete's sake. This robotic underwear has just been unleashed at TechCrunch Disrupt. The underwear is designed to offer assistive functionality and its target audience is the baby boomer generation, who might appreciate an extra assist from Seismic’s textile-based tendons. Check out the video for more info. One thing not promised by Seismic's power-pants is bladder control. But luckily there is someone focused on your pee-patterns - Japanese company Triple W and its Dfree device. Featuring built-in sensors to monitor how full a user's bladder is - there is an accompanying app that warns you that it's time for a visit to the John. It uses a non-invasive ultrasound senso, with data collected analysed by an algorithm. Have a read of Wired's in-depth report for more info.